A cyclist in his 60s is in a serious but stable condition in hospital tonight after a collision with a car. Police are appealing for witnesses after the accident in Churchtown today. They were called at around 2pm to reports of the collision on Garstang Road at the junction with Ainspool Lane. It involved a Land Rover Freelander and a mountain bike. Both vehicles were travelling in the same direction, towards the A6, when they collided. The cyclist, a man in his 60s, was taken to Royal Preston Hospital after suffering a head injury. His condition is described as serious but stable. The driver of the Land Rover was uninjured. The road was closed for around four hours for accident investigation. 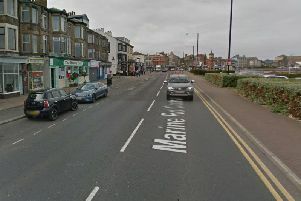 Sergeant Marc Glass of Lancashire’s Road Policing Unit said: “We are working to establish exactly what happened and are appealing for any witnesses who we have not already spoken to, to please come forward.